Is it just me? Maybe I'm an Easter egg decorating scrooge, but I am just not into dyeing Easter eggs. I like to decorate and be creative, but the mess of the dye just doesn't do it for me. After the actual dye process is over, the mess isn't. You have to keep the eggs in the fridge so they don't go bad and smell, but the cold makes the condensation bead up on the eggs and the dye seems to come off on everything it touches. 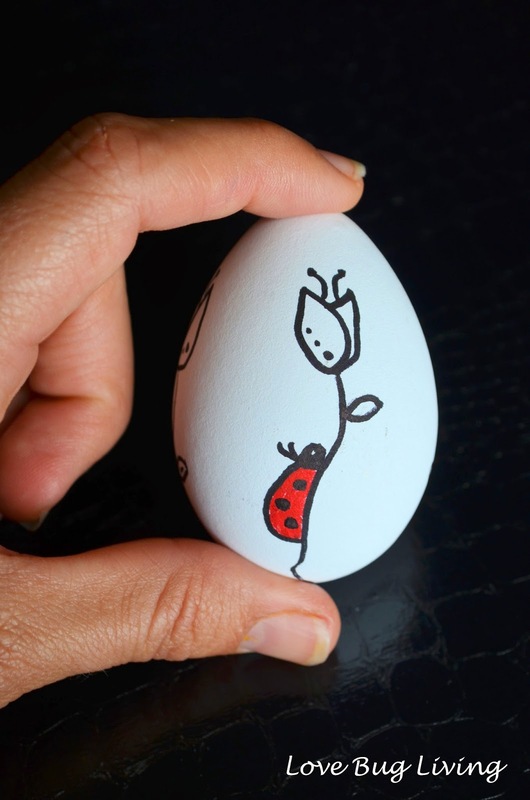 So this year I decided to come up with a new way to decorate eggs. 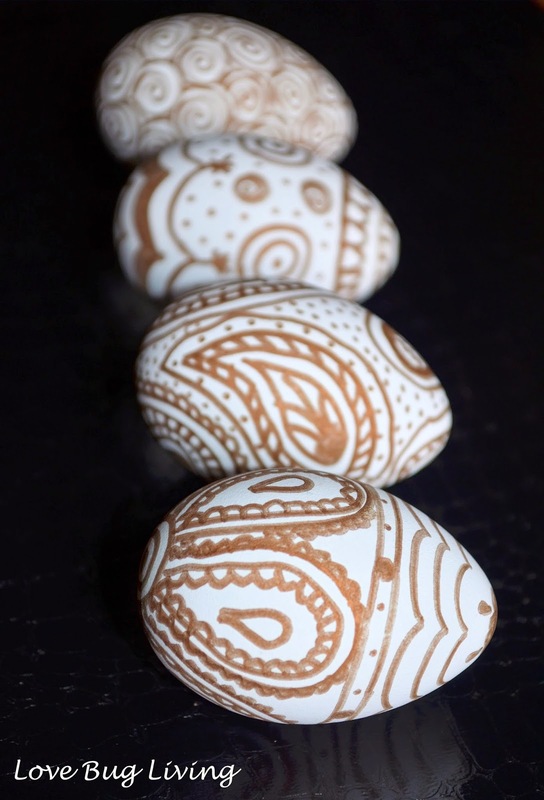 A couple of years ago we created a few different Mod Podge Easter Eggs. 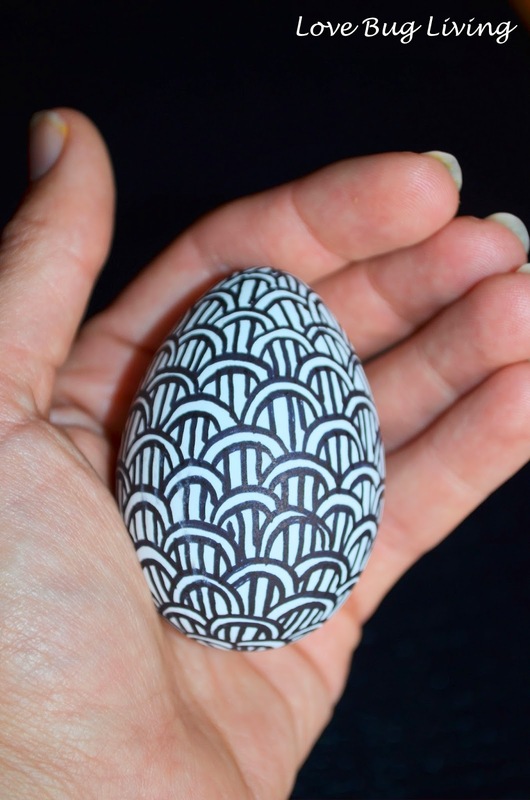 This year I decided to use a simple Sharpie marker to decorate my eggs. 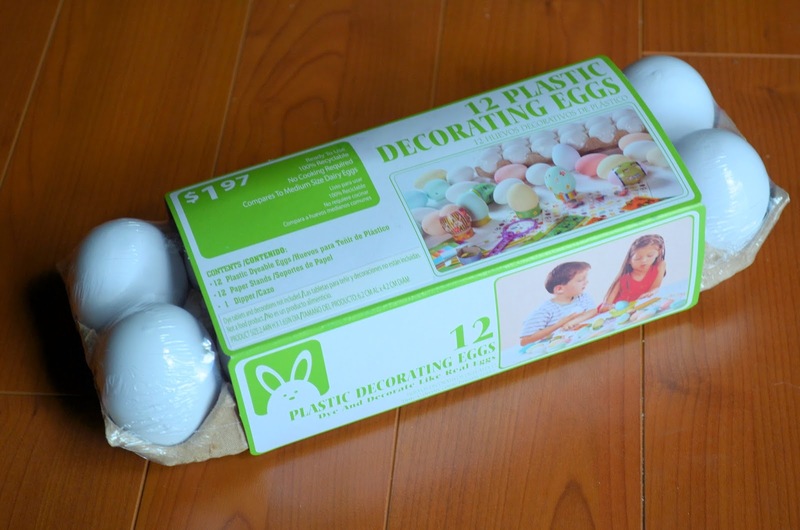 I was so excited to find these plastic decorating eggs. You can even dye them and no refrigeration needed! Only $2 at Walmart. 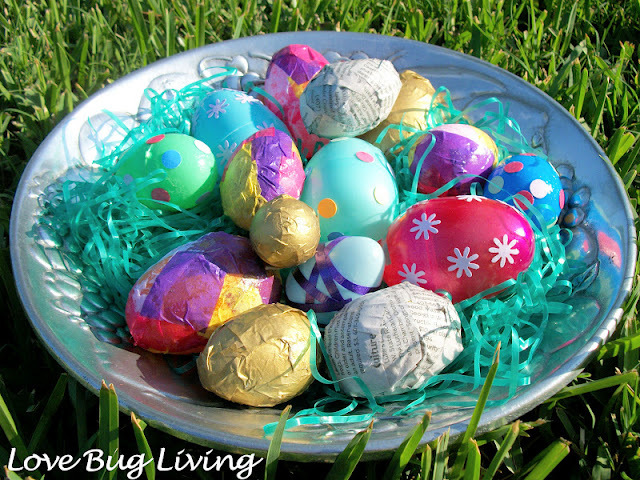 I don't know about your family, but after my kids are done hiding and finding their Easter eggs for half the morning, there's no way we are going to eat them anyways. Not sure how well they will last, but hopefully we will be able to use these eggs again next year too! Now back to the decorating. 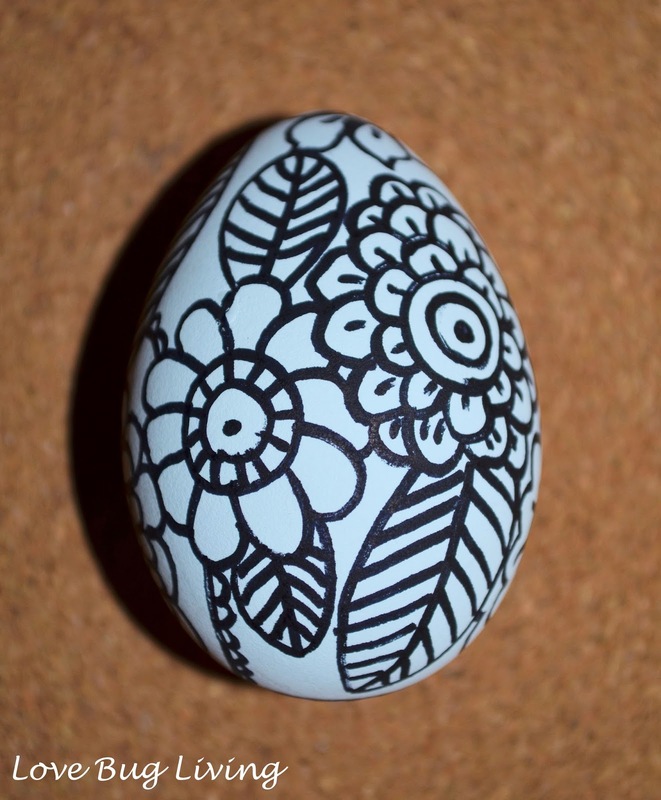 I'm really not any kind of artist, but it was so much fun to just doodle these eggs with a Sharpie. Flowers, swirls, paisleys, dots, monograms, waves, chevrons, anything goes. I used both black and metallic gold Sharpies to do my doodling. I actually went back and bought a bunch of Sharpies in all types of spring colors for my girls to do some doodling too. 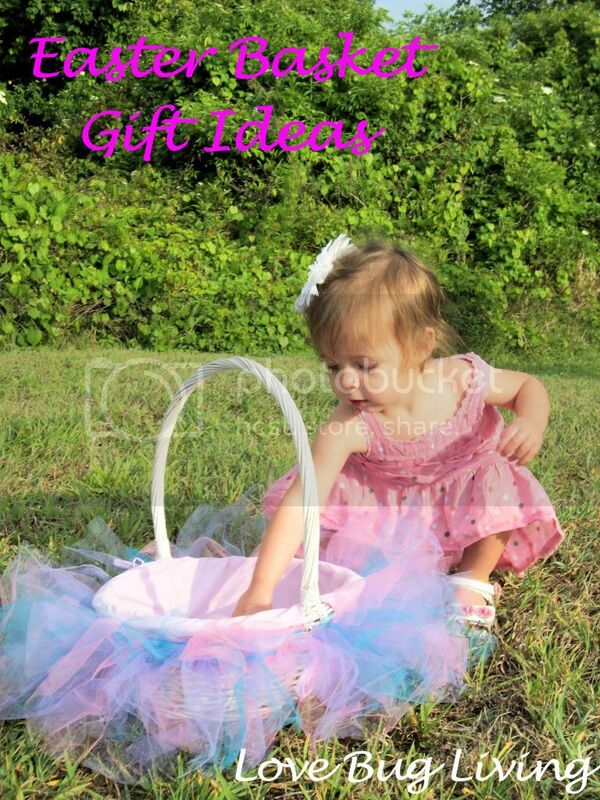 My Little Love Bug Easter Egg! I had so much fun decorating that I couldn't stop. 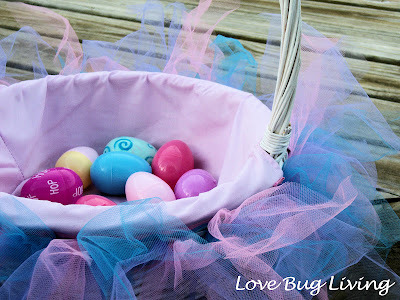 I had to go back to Walmart for another 12 pack of eggs so the girls would have some to decorate as well. 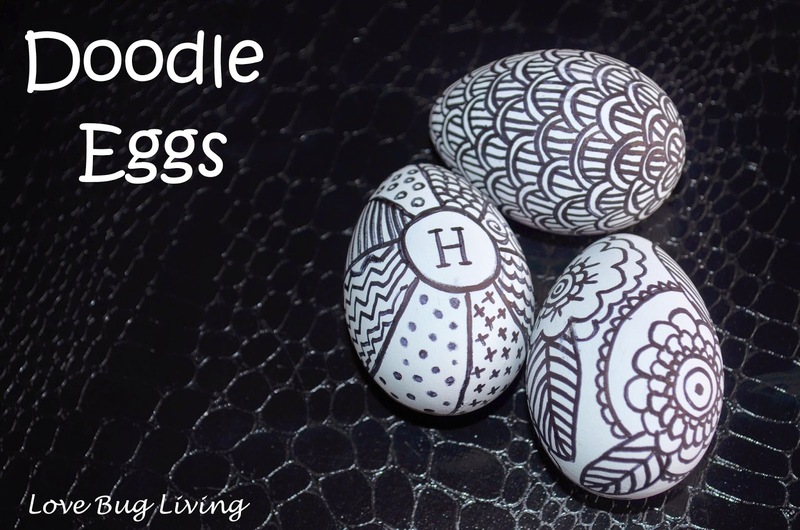 Let your imagination go and start doodling! 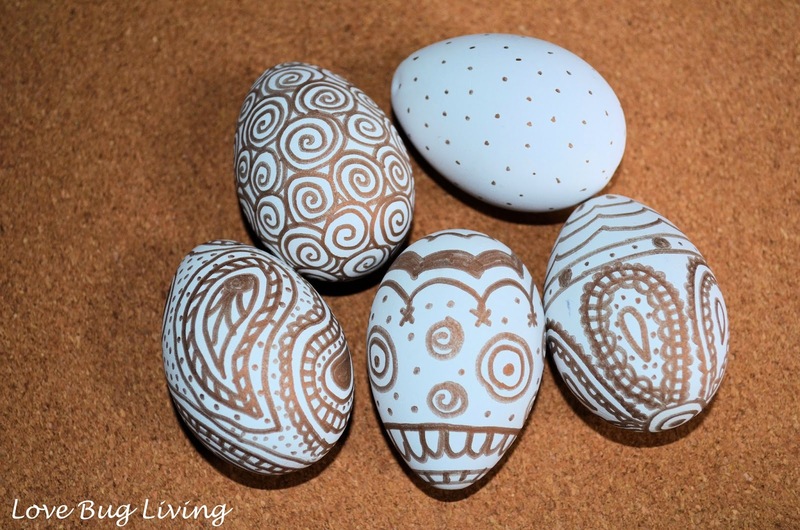 These are so beautiful, I wish I had a steady hand and an artistic flare!